It can be difficult to find the store you’re looking for at the mall, or to figure out which way to go at the airport. 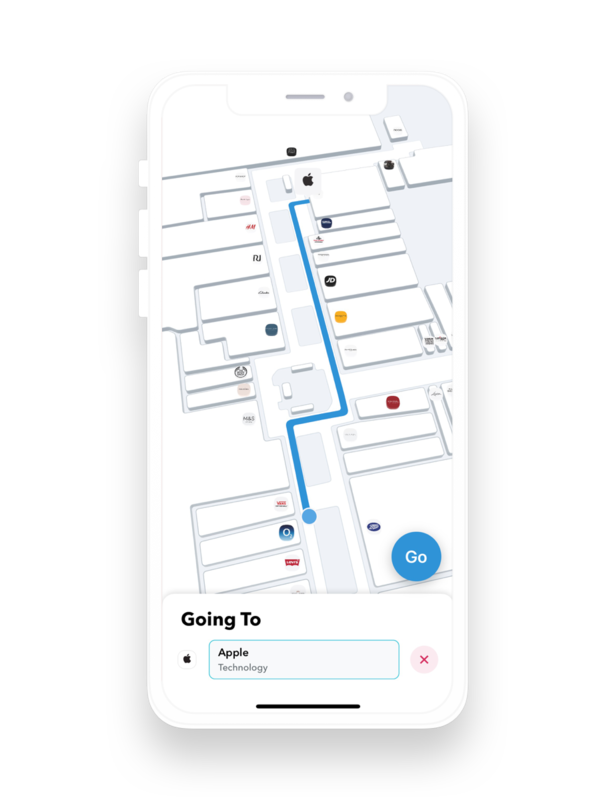 Our technology integrates with the map of your indoor space, figures out where the user is, and uses virtual paths and arrows to help them find their destination. We provide a developer SDK, and services to help integrate these features into your app and indoor space. A great wayfinding experience requires accurate positioning. GPS signals can’t reach indoors, so we needed something different. Our technology provides pinpoint-accurate indoor positioning, for a reliable experience which knows exactly where you are. No beacons or other hardware required. Figuring out which way to go in an unfamiliar environment is challenging. Our AI features enable intelligent pathfinding, to help people get where they need to go. Whether they’re looking for a particular store and require a wheelchair-accessible route, or if they need to reach their airport gate, via customs. Built to support the realities of indoor travel. We’re ready to begin working with shopping malls, airports, retailers and other venues, to integrate our technology within their spaces. The venues we work with will be the first to have this innovative new technology. Please let us know your interest. Thanks for your details. We’ll be in touch soon! Our team pioneered AR wayfinding, developed the most popular ARKit library on GitHub, and won the Product Hunt hackathon with Scavengar. AR is an emerging new technology. We understand how to solve the technical challenges, and the user experience challenges, to create really compelling AR experiences. We believe in a future where AR can help us interact with the physical world, and we’re on a mission to do so.